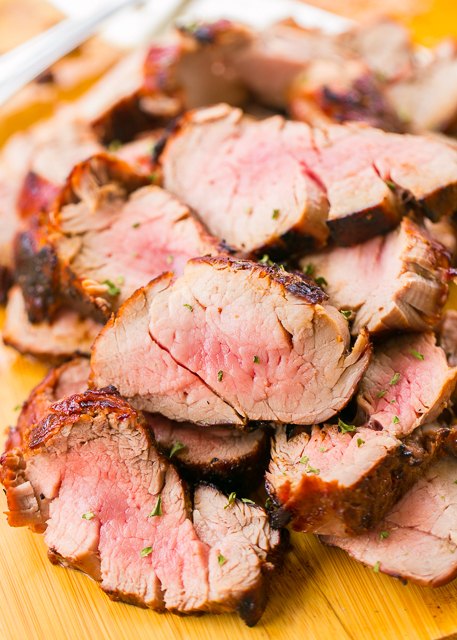 Grilled Bourbon Pork Tenderloin - better than any restaurant!!! We LOVED this pork! Pork tenderloins marinated in bourbon, brown sugar, soy sauce, Worcestershire, lemon juice, and garlic. Can use marinade on chicken and steak too. Everyone LOVES this easy marinade recipe. We make this at least once a month. SO good! 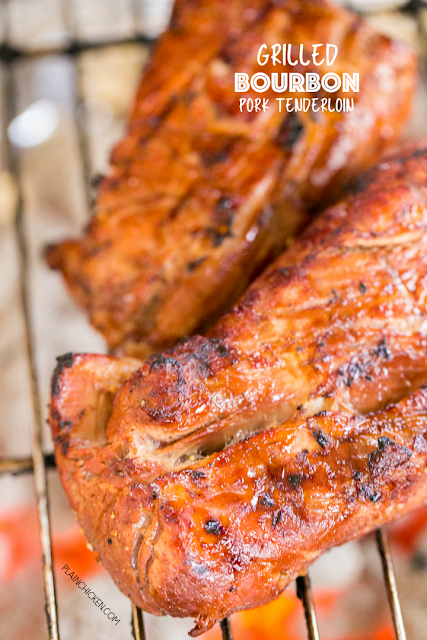 This Grilled Bourbon Pork Tenderloin was five stars! ⭐️⭐️⭐️⭐️⭐️ Only a few simple ingredients to make an amazing restaurant quality meal! You probably already have all the ingredients in your pantry to make this tonight! The pork needs to marinate a few hours to overnight. We always prep the meat the night before and let it sit in the marinade overnight. It gives the meat so much great flavor! I used this marinade on pork tenderloin, but it would be great on steaks or chicken too. It is a really good all-purpose marinade. I love all the flavors in the marinade - soy sauce, Worcestershire sauce, brown sugar, lemon, garlic and bourbon. I used Maker's 46 for the bourbon in this marinade. That is Chicken Legs' bourbon of choice, so we always have a bottle in the house. You can use your favorite bourbon or whisky in the marinade. Just make sure you enjoy whichever brand you choose. You will get some of the bourbon flavor in the meat. You don't want to eat something that you don't enjoy. This Grilled Bourbon Pork Tenderloin was hands-down better than any pork I've eaten in a restaurant. The marinade really made the pork shine! We served this with some potatoes and green beans. We ate the leftovers for lunch the next day, and the pork was equally delicious! Whisk together bourbon, brown sugar, soy sauce, Worcestershire, lemon juice and garlic powder. Place pork tenderloins in a gallon ziplock bag. Pour marinade over pork. Seal bag and refrigerate one hour to overnight. 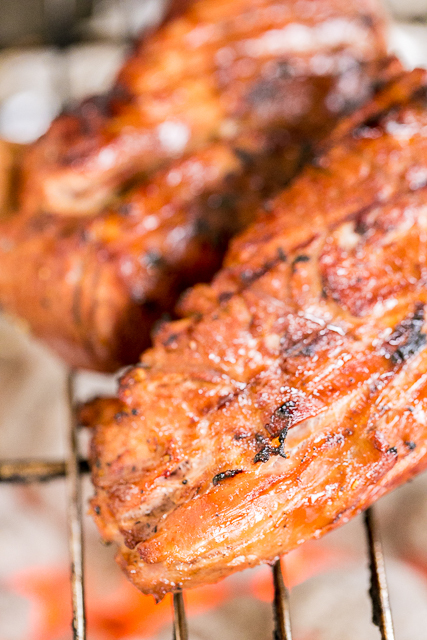 Remove pork from ziplock bag and grill to desired doneness (approximately 12 to 16 minutes). I do not have a grill, can you bake this possibly? Sure! I usually brown the pork tenderloin in the skillet on all sides and then pop it in the oven at 400ºF for about 18 to 20 minutes. Just make sure it has a 145ºF internal temperature.